Welcome to Rundeck, the human interface to your operations. Rundeck features fine-grain access controls, a built-in job scheduler, and the ability to define workflows that dispatch commands and scripts to your nodes. 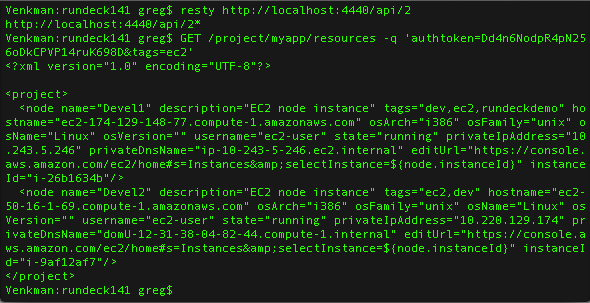 Import Node information from anywhere: Chef, Puppet, Amazon EC2, or your own in-house CMDB / node list. 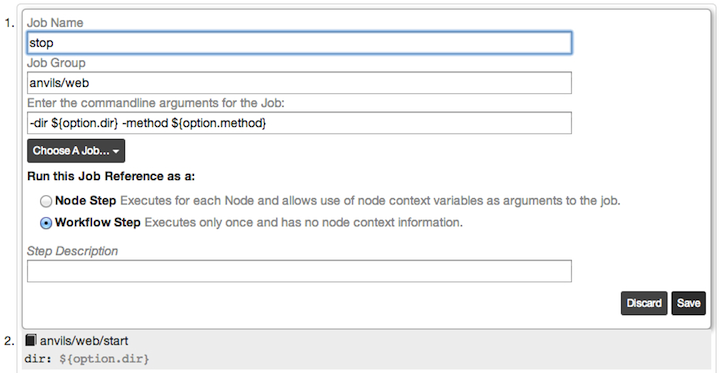 Nodes can be organized using tags or other customizable attributes. 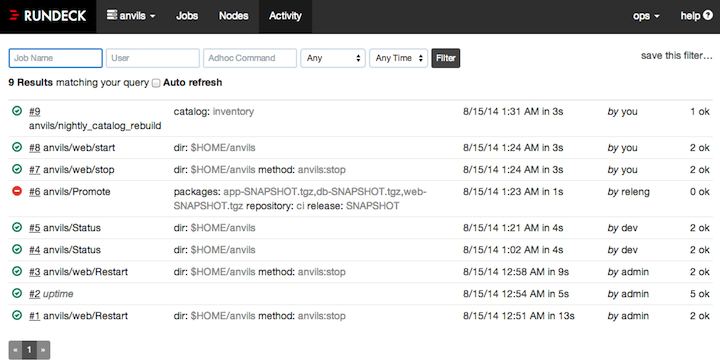 Run commands and scripts on your nodes. Run them in parallel on multiple nodes. 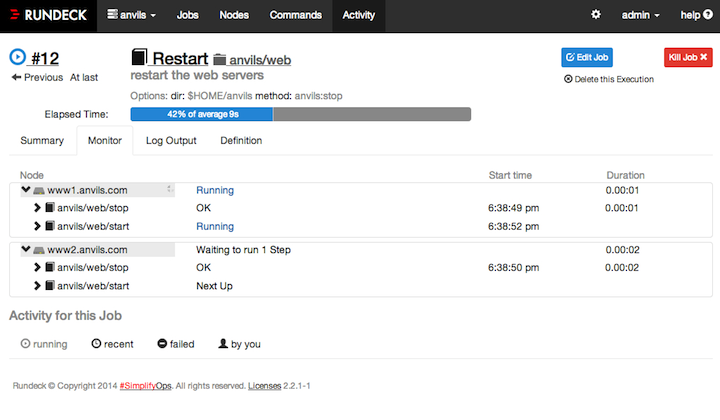 Run commands ad-hoc by just typing in the command and hitting enter. Plugins can add new node sources, formats, and remote executors. Live executions can be followed and the interleaved output from multiple nodes can be separated and organized. Give your jobs user friendly descriptions and with read-only access rights your non-technical colleagues can watch key jobs like deployments or data batch processing. Jobs define commands to run on a schedule or on-demand. 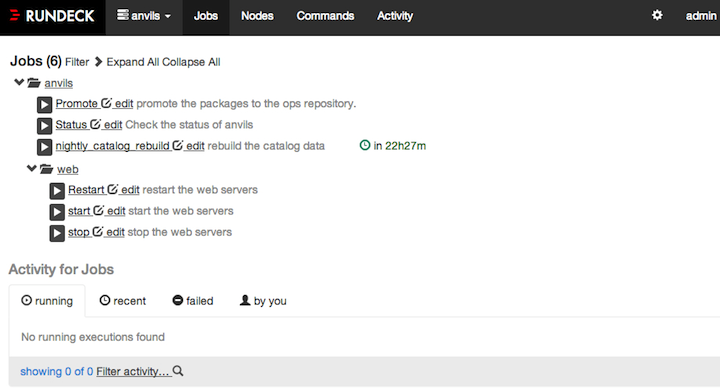 You can notify people via email (or web services via webhook) when a Job finishes. Organize Jobs into Job Groups. Schedule Jobs using cron syntax. 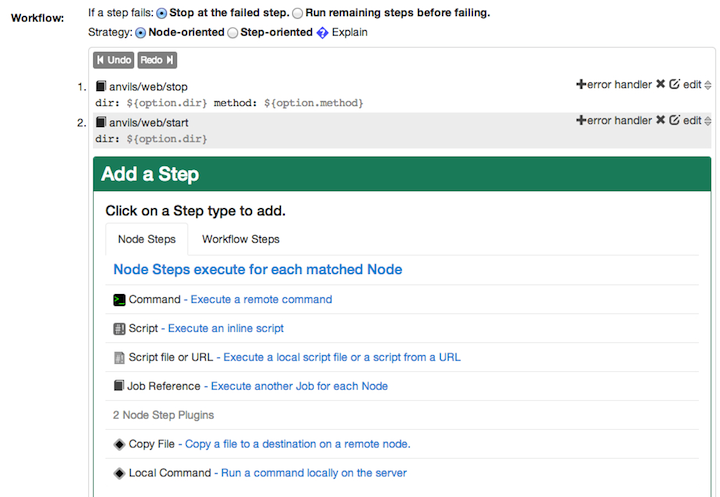 Workflows allow coordinated sequences of commands, scripts or other Jobs. With the workflow editor you can modify workflows in the GUI without touching the command-line or source files. But, you can also use textual source definitions and export/import via GUI, CLI or API. Fine-grain access control capabilities allow you to specify who can do what and to what resources. You can also specify what different roles will see. With Rundeck's context-rich logging (local logs or stream the logs to another tool) provide you with an audit trail for management or compliance uses. 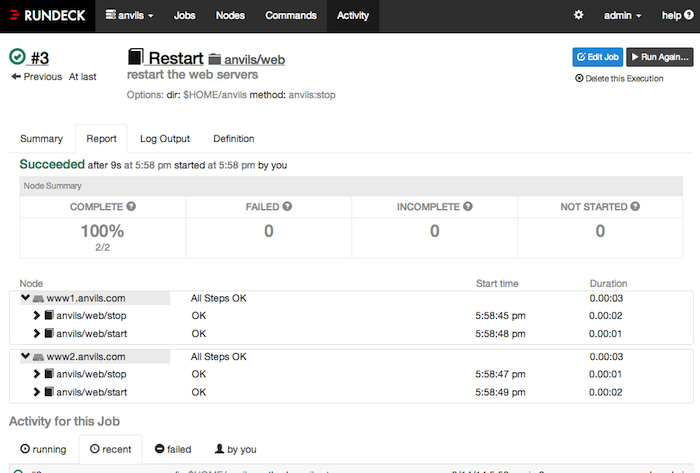 The Web API lets you run and manage Jobs, update your node resources, and retrieve execution history. You can use the API to connect Rundeck with other tools, scripts and services easily. 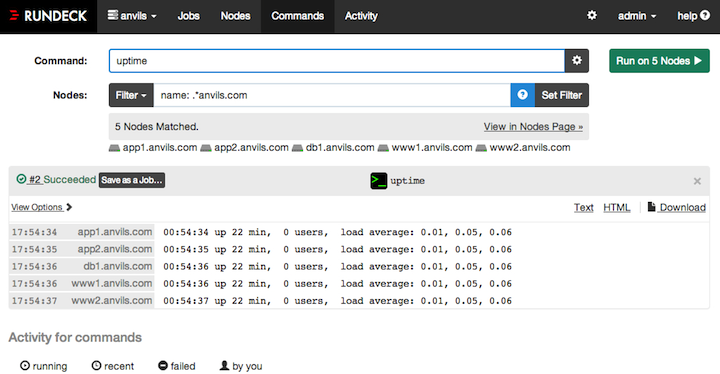 The activity history lets you audit and search all previous Job and command executions. Watch some screencasts to see how it works. Go to the GitHub project checkout the source.